Here’s an important thing to know about the non-dieting Miriam: she loves ice cream. And she loves cookies. And she thinks the combination of the two is about as awesome as it gets. Here’s an important thing to know about the dieting Miriam: she really wishes she were the non-dieting Miriam. And a part of her must be an idiot to make something like this that so desperately tempts the non-dieting Miriam to come out of hiding. Am I confusing you? 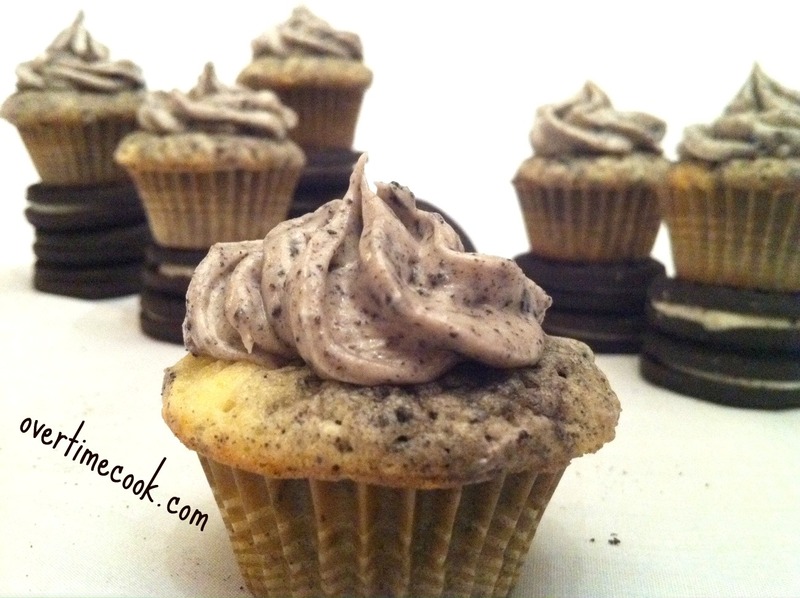 Let’s sum it up like this: I suddenly realized that I have never posted a cupcake recipe here, and can’t think of a more awesome cupcake to get things started than one that basically imitates one of the world’s most delicious ice cream flavors: cookies and cream. The original recipe for this was for regular sized cupcakes, but I am currently working through a minor mini-cupcake addiction, so naturally I made them in mini. And because a full size cupcake with a full size dollop of cream seems a little bit intimidating, or at least completely guilt inducing, but a bite sized cupcake just doesn’t feel that way. Unless, of course, you have two or ten of these. Preheat oven to 350. Line 2 mini muffin pans with paper liners. Set aside. Whisk together the flour and baking powder, set aside. In the bowl of an electric mixer, cream the butter and sugar until smooth. Add the egg and vanilla, beating until smooth. Add half of the flour mixture, then the milk, then the remaining half of the flour mixture. Beat until just incorporated. Using a spoon, stir the oreo pieces into the batter. Spoon into prepared muffin pans, fill all the way to the top. Bake for 9-11 minutes, until they appear just set. Whip the butter and confectioner’s sugar until smooth. Add milk, 1 Tablespoon at a time, until the frosting reaches a soft and creamy texture. Add crushed oreos and stir to combine. Spoon or pipe the frosting onto the completely cooled cupcakes. 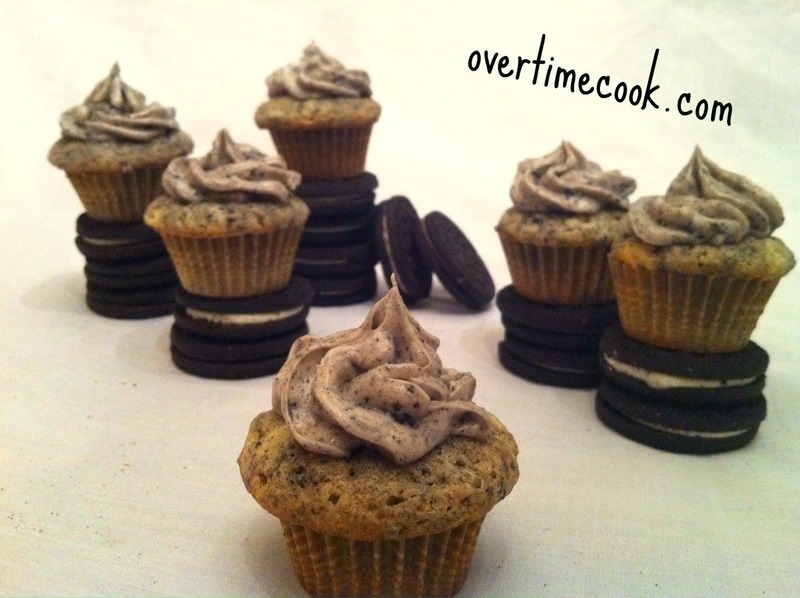 Note that in order to pipe the frosting, you need the oreos to be very well crushed, and you need to use a thick tip (I used a 1M tip) otherwise the cookie pieces will get stuck in your tip. And…do I even have to say it? Enjoy! Don’t you love how the frosting almost looks like a delicious little swirl of cookies and cream ice cream? Looks YUMMY- the non-dieting part of me wished I could eat it too. Your pictures are great!! 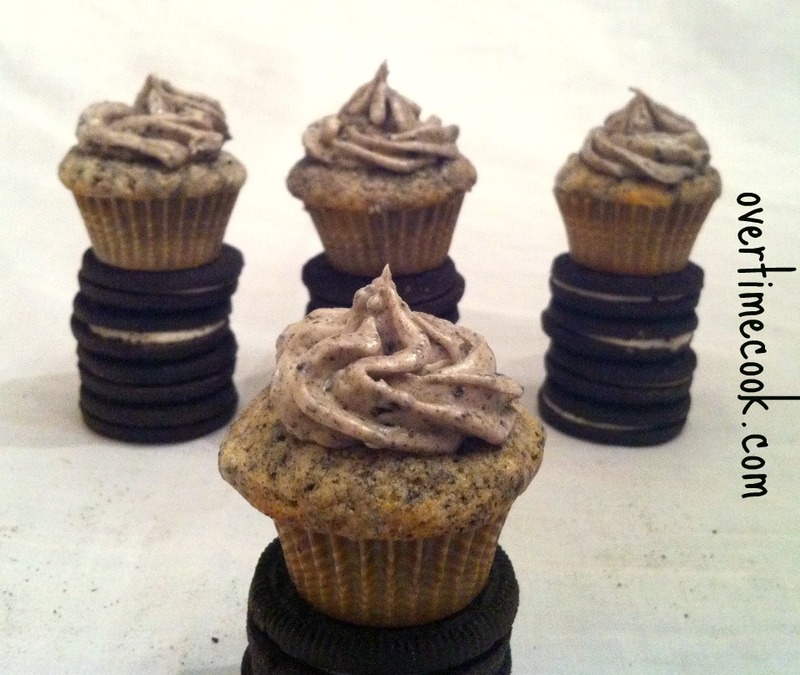 LOVE, love, love the photos — so great how you show the cupcakes’ size relative to Oreos. Also, you are really making me want a piping bag. I am loving your mini cupcake addiction! These are super cute and I love the flavor. These look so pretty! 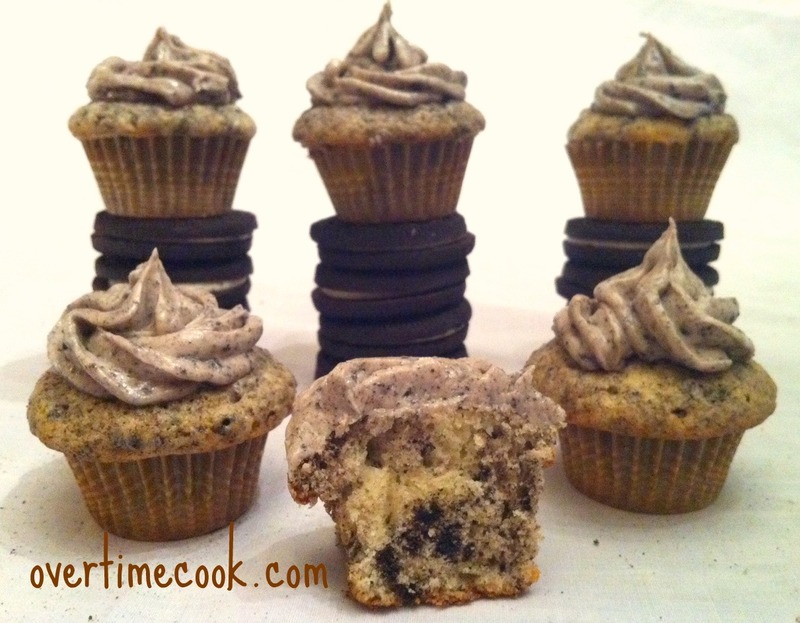 I love mini cupcakes too… and cookies and cream flavoured cupcakes sound delicious to me!!! I want to make these for shabbos. what can i substitute the milk for in the icing, i want these for dessert.